A comprehensive text on tactics and techniques, written in 1912. 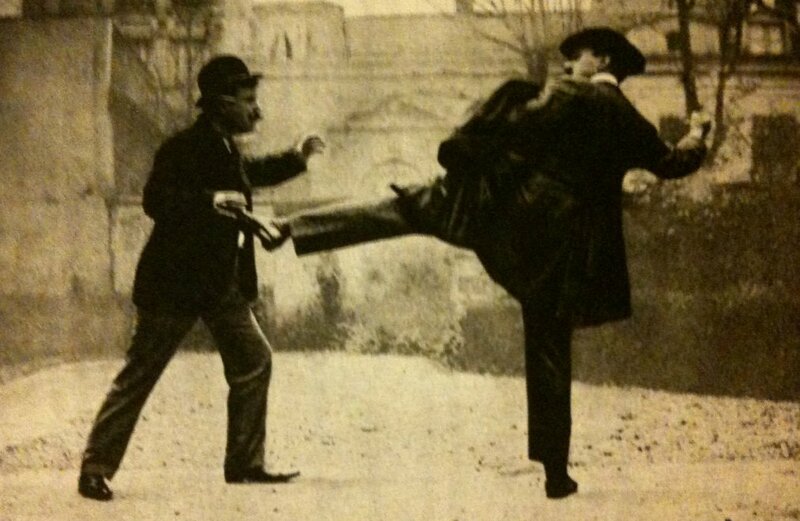 This text is a very detailed (over 400 pages) discussion of the application of “combat sports” to defence against street ruffians, assuming that the reader is already experienced in various component arts or will seek out tuition from experts in these distinct arts and then combine them himself. There is also some advice for those who lack training in particular areas. The Revolver (also available as a PDF). Practical cane fencing (part 1). In addition, we have some translated sections of our own. These are made freely available under the Creative Commons license in PDF format, and can be downloaded below. The translation is incomplete but more will be added as time permits. Renaud&apos;s Defence in the street PDF. Please check the date at the bottom of the page to know when the latest revision was uploaded.